The KWC team joined forces with the Corona Fire Department for the Spark of Love toy drive again this year. We’re proud to be a small part of supporting the local community by donating toys. We want to thank the Corona Fire Department for their hard work and continued service to the community. Wishing everyone a Happy New Year! 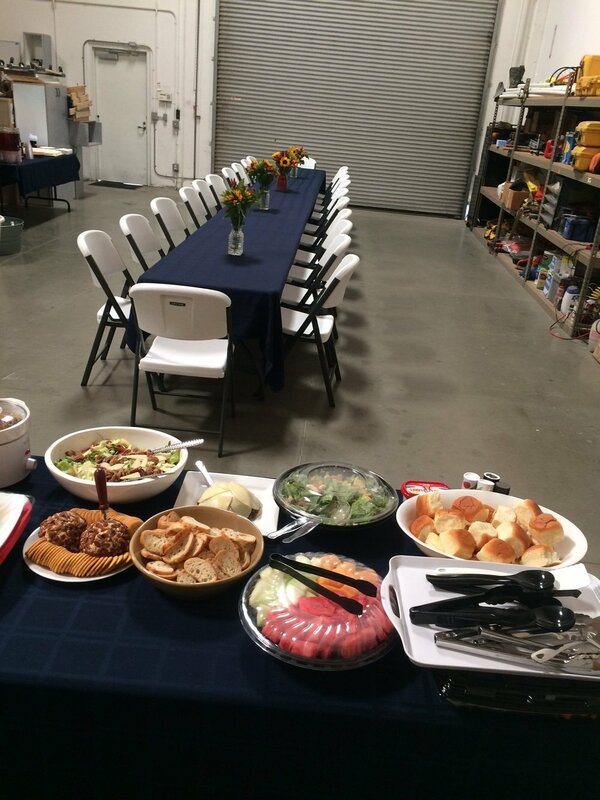 At our company we enjoy getting together every month to share good food and conversation. This month we had a great pot luck style gathering including the traditional turkey and ham. There was a lot of good food and a some competitive ping pong games. We truly value the time and hard work that the team puts in at KWC! There is a lot to be thankful for here and we wish you and yours a wonderful holiday!